A look at how communications API service Twilio successfully tested the reliability of their queueing and rate limiting system using chaos engineering. Links and summaries for a variety of Docker-related tools cover areas from service discovery to security and logging. Manifold gives you the power to choose any combination of our handpicked services and import the services you build or buy elsewhere. Use the language, framework, and platform you choose. Remain free of lock-in. Big news for users of AWS’s serverless platform at edge locations, as it now supports content-based dynamic origin selection, network calls from viewer-facing events (such as to your own auth servers), and support for binary responses (such as images). Some interesting Q&A with the team behind keeping Reddit online. If you use Amazon Web Services, you can now programatically access data around your account’s costs. A new cloud for those in the relevant agencies that need to operate “up to the Secret U.S. security classification level”. Used a funding round to build an open source cloud-agnostic abstraction layer called DISCO. 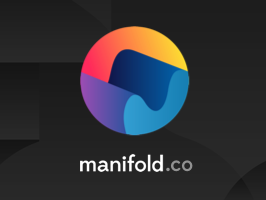 The Manifold CLI tool makes it easy for you to provision services like logging, monitoring or any of the others. .. using Cloud9, GitHub, CodeBuild, S3, CloudFront and Lambda. An opinion piece laying out a way to think about AWS Lambda in relation to other approaches. Choose the best service and have the tools you need to manage and use those services on any cloud. A tool to analyze and compare container images. A Kubernetes daemonset that performs safe automatic node reboots.